Ormeus Global launched last year as a trading bot 160% ROI Ponzi scheme. 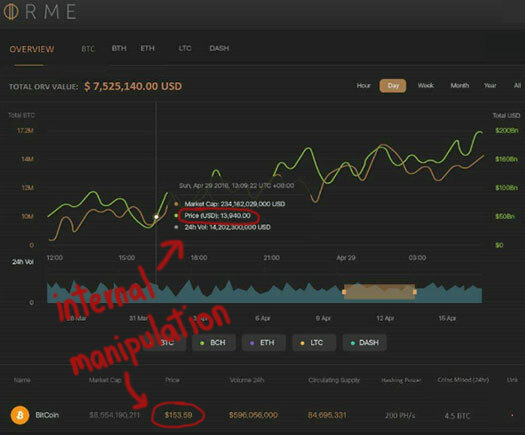 As MLM cryptocurrency schemes are want to do, Ormeus Global also launched its own pump and dump altcoin. Ormeus Coin began public trading around October, 2017. After pumping at around five dollars in late November, Ormeus Coin dumped to just over a dollar. ORME has been in steady decline since mid April and is currently sitting at around 88 cents. Meanwhile back in March, it emerged Ormeus Global hadn’t been paying affiliates earned commissions. Over the past month or so something called IQ Chain has emerged. Following several requests to look into IQ Chain’s connection with Ormeus Global, today we’re taking a deeper look. A visit to the IQ Chain website brings up nothing more than a login form. There’s no information about what IQ Chain is or who’s behind it provided. The IQ Chain website domain was first registered back in 2012. The registration details were last updated on April 2nd, which is likely when the current owner took possession of it. A visit to the WayBack Machine confirms that prior to April 2018 the “iqchain.com” domain was parked. So what is IQ Chain? As far as I can tell it’s an attempt to rebrand Ormeus Global. That said, the Ormeus Global website and branded social media profiles are still active (albeit abandoned since April) – so the company might be having an identity crisis. An April 19th post on the Ormeus Global Facebook profile announces the launch of “Orme Cash”. Orme Cash isn’t publicly tradeable and as far as I can tell exists solely as tokens within Ormeus Global itself (Ponzi points). Ormeus Global affiliates who invested in Ormeus Coin obtain Orme Cash by parking their coins with the company. This is likely an attempt to attach Ormeus Coin to an internal points system Ormeus Global can wholly control. They lost that control with Ormeus Coin when it went public and crashed. So Orme Cash appears to be an attempt to regain control – with the aim of manipulating the public value of Ormeus Coin. Ormeus Coin parked with Ormeus Global cannot be sold while they are “staked”. With that out of the way, we can now continue with a more traditional review of IQ Chain. IQ Chain has no retailable products or services, with affiliates only able to market IQ Chain affiliate membership itself. Note that the Ormeus Global website does reference an “Ormeus QI’ range of supplements, however these appear to only be available internally to affiliates. IQ Chain affiliates invest in Ormeus Coin and Orme Cash. There are two additional IQ Chain affiliate ranks; Platinum Founder and Presidential Founder. GV stands for “Group Volume” and are points generated via recruitment of new IQ Chain affiliates. Note that Ormeus Coin and Orme Cash amounts Platinum and Presidential Founder affiliates receive are not disclosed. Ormeus Global’s “B2x89” trading bot 160% ROIs appear intact in IQ Chain, with the company providing trading bot credit with affiliate investment. Ormeus Global are charging $1500 annually for a B2x89 trading bot license. IQ Chain affiliates are paid to recruit new affiliate investors. How much of a recruitment commission is paid out is determined by how much an IQ Chain affiliate has personally invested. IQ Chain pay residual recruitment commissions via a binary compensation structure. 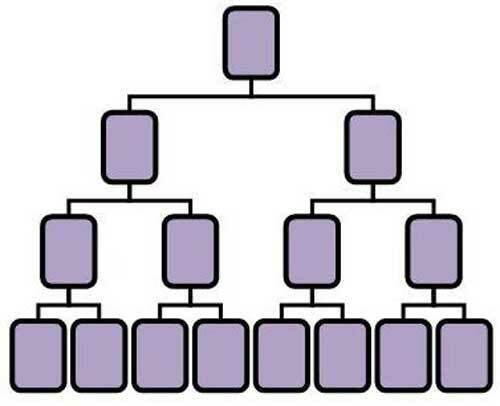 When a binary position is filled, points are generated on the binary side the position is in based on how much the newly recruited affiliate invested. Residual recruitment commissions are paid as a percentage of points generated on the weaker binary team side each week. IQ Chain pay the Infinity Bonus out via a unilevel compensation structure. The Infinity Bonus is paid as a percentage match of residual recruitment commissions earned by unilevel team affiliates. Note that for Gold Founder or higher, “until another Gold Founder or higher affiliate is found” applies to each unilevel team leg individually. The IQ Chain compensation plan mentions a “Coin Distribution Contract”. If I didn’t know any better I’d say these are ROI amounts, likely generated by some sort of token smart contract (redistribution of newly invested funds). As above, IQ Chain affiliates are falsely led to believe ORV points are worth hundreds of dollars. IQ Chain affiliate membership is tied to a $500 to $833,000 (estimated) investment. The more an affiliate invests the higher their income potential via the IQ Chain compensation plan. After going through IQ Chain’s marketing material and compensation plan, it’s pretty clear this is an Ormeus Global reboot. Ormeus Global and Ormeus Coin pumped and dumped as expected. In order to keep new investment coming in, John Barksdale and the gang are launching new pump and dump altcoins. And so we have Orme Cash and token contracts. There’s also something called GreenX, which I haven’t really covered because at this point it doesn’t appear to be anything more than a bunch of eco-friendly promises. Like Ormeus Coin, Orme Cash is worthless outside of Ormeus Global and IQ Chain. If IQ Chain ever decide to migrate Orme Cash over to a public blockchain script, it too will dump in price (after IQ Chain admins and early investors dump immediately at launch). Otherwise IQ Chain is just more of the same. Ormeus Global and IQ Chain are sitting on a bunch of pre-generated Ormeus Coins and Orme Cash points, which they offload onto new investors on the promise of riches. Real money flows into John Barksdale’s pockets and whoever he’s working with in Hong Kong. Everybody else loses out and is left holding a bunch of worthless tokens and points. MARK POOSNER, Cheerleader for the Ormeus MLM, and a serial scam artist is one of the three stooges along with CHARLES ANDRADE and RICH GRANATI that were the numbnuts who brought Ormeus to the US market and then had to shut it down because they could not meet the US regulations. It’s been a true fiasco since day one and the blame squarely goes to the three stooges above…. That’s rather cute. They used a Chinese “nine” as their “H”. Tsk, tsk. i started by giving a bitcoin to “coinxl” it was building quite nicely, until, (at the point when bit coin was peaking at $20,000) coinxl and my btc vanished. and ormius global emerged in its place, they took my btc off me and spoon fed me ‘mining’ for a while. then one day, when they were peaking at $3 sold me these ‘ormes’ using up the ‘mining’ dividends. but they didn’t actually let me have them until the ormes had crashed. unfortunately i waited for them to bounce back, but no, they are now worth 33 cents. total value, a few hundred bucks. Mr. Buggs left IQ chain. Jarle Thorsen overtakes it now. So when you trace the people involved in the call you can trace them back from IQ -> Ormeus -> Nano Crowd -> Nano coin -> Octacoin -> Crypto888.